Sale Details: Limit 2 per customer at discounted price. $29.80 for each additional. 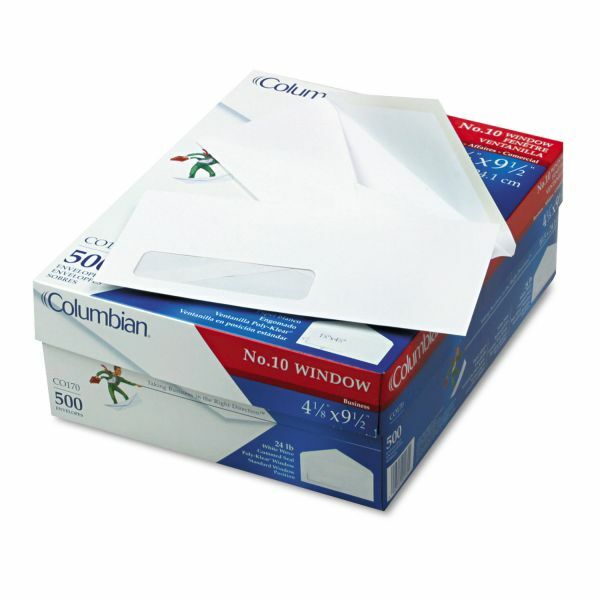 Columbian Poly Klear Single Window Envelopes, #10 (4 1/8 x 9 1/2), Gummed, 500/Box - See-through window eliminates the need to address the No. 10 envelope. 1-1/8 x 4-1/2" window is positioned 7/8" from the left and 1/2" from the bottom. Envelopes feature 24 lb., white wove paper with diagonal seams."